CFRE stands for Certified Fund Raising Executive, and this is the highest credential we have as professionals. Are you interested in earning your CFRE? Want a study buddy? Want to ask questions? We are here to help! We have an informal network of professionals who have already earned their CFRE and professionals preparing to take the exam. Learn more about CFRE here. 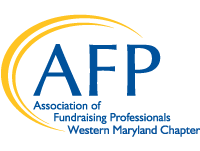 To join this group or for more information, contact Teresa Witt, CFRE, 301.424.5200 x 155.